No indeedy. 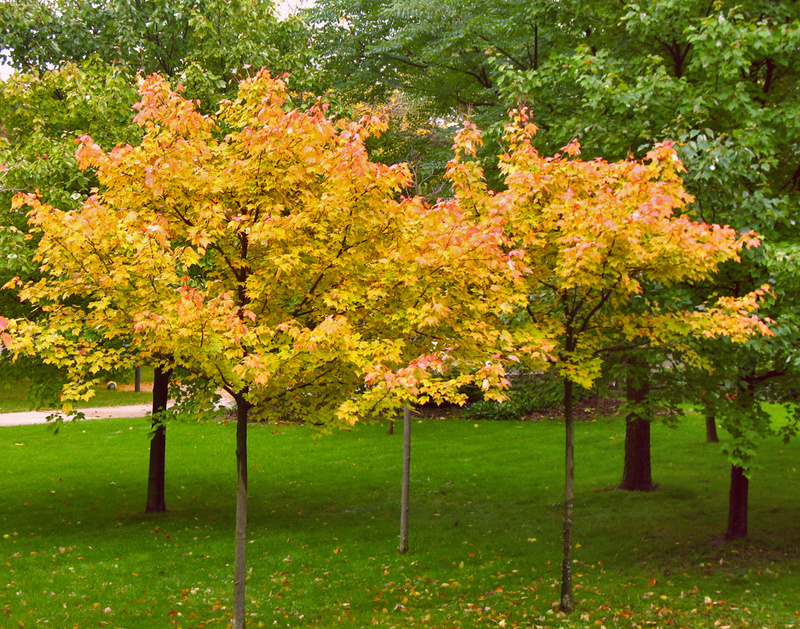 Nothing dreary about these young maples. They are trumpeting all their glorious colors in symphony! Beautiful colors and clarity here, Terry. Just like firework sparklers. They really stand out with terrific color. Great lighting and composition. Beautiful greens in the grass, too. Good Luck! Great colors and perfect clarity Terry. They're a lovely sight of fall foliage. Thanks for sharing them and good luck in the contest. Don't they look so proud of themselves, standing out amongst the others!! Wonderfully composed and a great photo, Terry! You really caught a nice family of triplets here! They're small, but already full of glorious color! Wonderful shot. You do not have to thank me if I leave a comment on your image...unless you really want to. ..It is my pleasure to comment on your beautiful work. This is nice also Terry...the color in these young trees really contrast well with the green leaves in older trees in background...gerry..
You're definitely going to give the other contestants a run for their money with this Terry. This is just beauty and simplicity at its best. 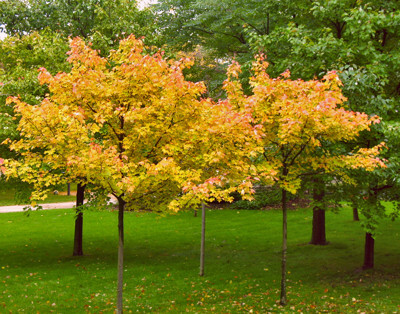 These young maples really "steal the show" in this with those gorgeous colors. Very nice and good luck!